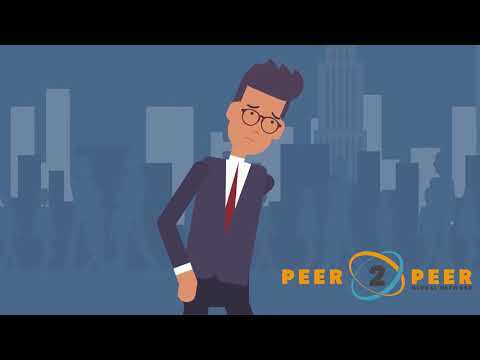 Peer 2 Peer Global network specializes in helping those who come across unexpected financial lose when they become unemployed. By using the latest Blockchain technology combined and trigger executed smart-contracts, P2P has become the first blockchain based platform to use crowdsourcing to validate and award funding to address the financial strain of unemployment. We do so in a simple, trusting and secure way. All it takes to receive P2P benefits is to purchase one of our low-cost membership plans with P2P tokens, that accrue value until you need it most. Upon the event of job loss our process is simple! Members simply submit proof of their unemployment within the P2P application, and click submit. Next a secure Smart Contract will evaluate the authenticity of the application, and validate that the requirements have been meet. Lastly, a Five-Member Peer Consensus Team will answer a short questionnaire and payment is delivered. Keeley Wilkinson has a great working experience in Business Management and team development. Others team members are really experienced in their professional area. Project idea - “P2P Global Network is birthed with the aim to solve the burning financial problem that unemployment causes with these unavoidable and unfortunate life incidents. We realize that unavoidable circumstances can lead to unfortunate circumstances and problems. Peer 2 Peer Global Network specializes in solving those problems. “ This is quite fresh and needed solution. In conclusion, I think this project can easy acheeve their goals and will have a success. Project with a strong team and advisors. The idea itself is very relevant so the chance to lose your job even in a large developing company is very high. Overall, this project seems to have a lot of opportunities. Good luck! P2P Global Network Initial Thought Process, Business Plan, Strategic Plan & Minimum Business Team Assembling. Research & Analyses, Tech Team Assemble, Whitepaper Drafting, Implementation & Coding and MVP Product Design and Application Development. Partnerships, Business Team Assembling, Production & Beta Version of Product Launch & Product Marketing. Product Enhancement and UAT Testing, Continued Partnerships, Continued Business Team Assembling & Product Marketing. Product Enhancement and UAT Testing, Continued Partnerships & Product Marketing. Full Scale Product Launch & Maintenance, Continued Partnerships & Product Marketing. P2P Global Network in Full Operation & Continued Partnerships.